Handlers train their dog to correctly negotiate a variety of different pieces of equipment from jumps and tunnels to weave poles and contact equipment. All types of dogs and people can give it a go, from children to grandparents, from Chihuahuas to German Shepherds. In an agility competition, dogs are directed around a course. They are judged and the fastest round with no errors wins!! 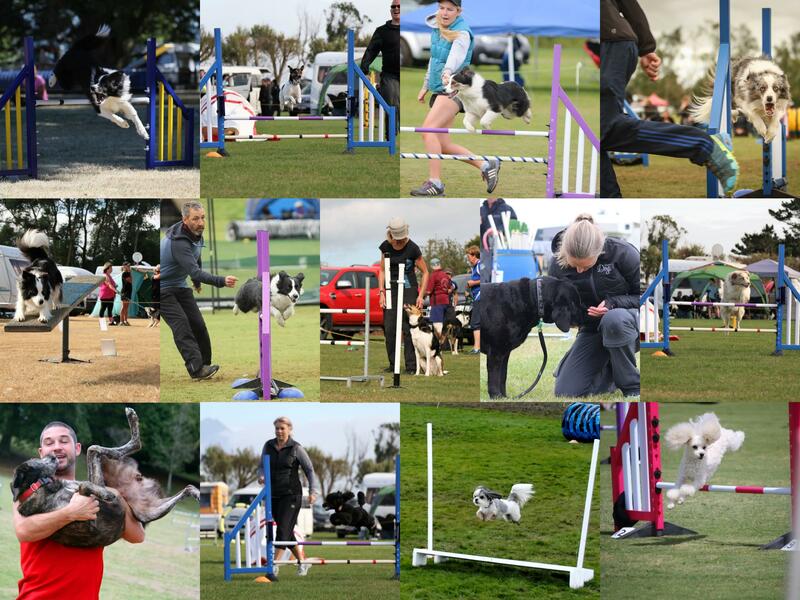 There are more than 40 clubs all over NZ who run regular agility training classes, and a number of agility competitions. Agility is an active sport, and a very social weekend activity for many people in NZ. Got your first Agility Dog? To find details about a club near you, check the Contacts page. All submissions to be received by the Secretary at least 7 days prior to the meeting. Next Meeting will be held on 23 June 2019.